If you enjoy denim pants then you will adore these Winter Denim Leggings are such marvelous and fabulous alternatives to jeans. These leggings are made special for winter and you can wear them with nearly everything. It’s warm, soft and comfortable. Highly recommended. I’ll definitely buy more for winter. Love love love the item. Want to order more. leggings very comfortable. high waist. warm inside. recommend. Shipping was fast. Good quality. Fits the description. all is excellent! thank you! 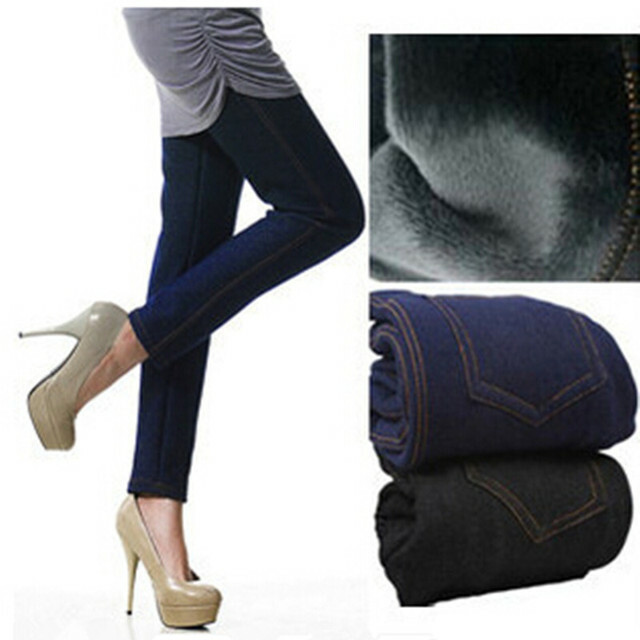 look like jeans, perfect to winter, comfortable and warm. We are proud to offer international shipping services that currently operate in over 185countries and islands world wide. Nothing means more to us than bringing our customers great value and service. We will continue to grow to meet the needs of all our customers, delivering a service beyond all expectation anywhere in the world. Packages shipped from our US warehouse are shipped through USPS. Packages from our warehouse in China will be shipped by E-packet or EMS depending on the weight and size of the product. Your order did not arrive due to exceptional circumstances outside the control of Leggingsaholic (i.e. not cleared by customs, delayed by a natural disaster).